Conveyor chains are designed for chain conveyor system. There are different types of conveyor chains, inculding hollow bearing pin chain, solid bearing pin chain, deep link chain and drop forged chain. Today we are taking about conveyor chains made in our drop forging technology. Drop forged conveyor chains are also called en-mass conveyor chain or scraper chain, which is fitted with attachments welded onto chain links. Such drop forged conveyor chains are widely used food processing machinery, mining, agriculture, material handling industries, ect. So there are a large demand for us to export them to overseas market. Our drop forged conveyor chains are manufactured in our chinese factory from high grade alloy steel, such as 42CrMo. Of course, we could make custom forgings according to your special requirements on other materials and heat treatments for high strength and wear resistance. 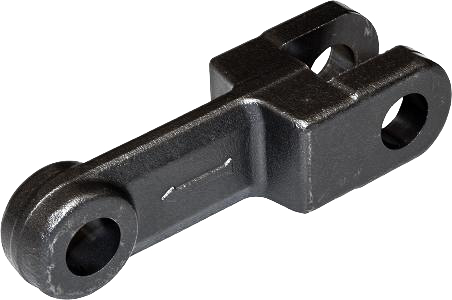 Our drop forged conveyor chains have standard type, double type and triple link type. Drop forging: Conveyor chains belong to closed die drop forging, so forging dies will make first, our in house die workshop will supply you high precision forging dies, and then forge convery chains with next shape. Machining: Our advanced cnc machining centres guarantee a superior and permanet quality. These machining operations include milling, drilling, boring, ect. Machining will ensure prefect assembling and working. 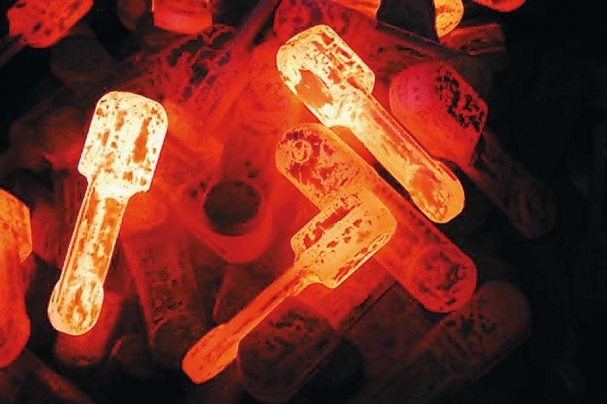 Heat treatment: Heat treatment can ensure a uniform surface hardness and depth. Heat treatment is the heart process for making drop forged conveyor chain. By many years' experience, we well know how to do heat treatment to achieve the best working performance. Quality testing: Each chain link will be checked and tested in our testing room,especially for hardness. And the testing result will be placed in our well organised database so that it can be checked at any time.